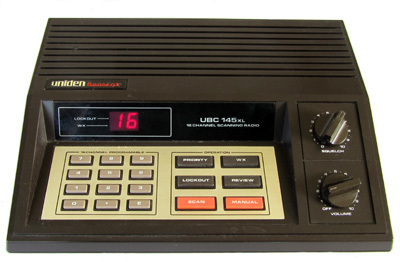 The Uniden Bearcat 145XL is a vintage 16 channel scanner. There is ample space to equip it with a discriminator output. 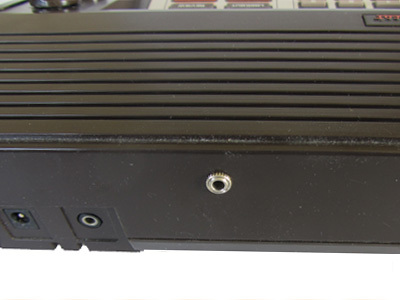 The receiver IC is an MC3359. 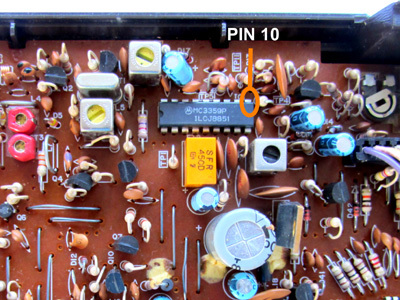 The unfiltered audio can be found on pin 10. It's quite strong, which could damage a computer's soundcard. 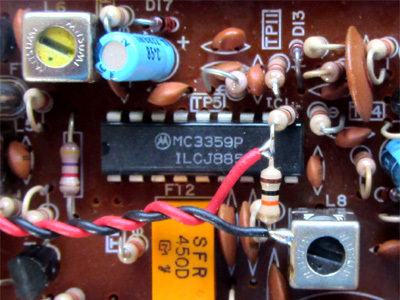 Therefore, an attenuation of about 50% is created by a two resistor voltage divider. Solder the other lead of the second resistor to the metal shield of the IF coil.